Jardine's Three Compadres Salsa Gift Box contains three of Jardine's salsa flavors and are known to be crowd pleasers . . . always hanging out together . . . ever the popular crowd. 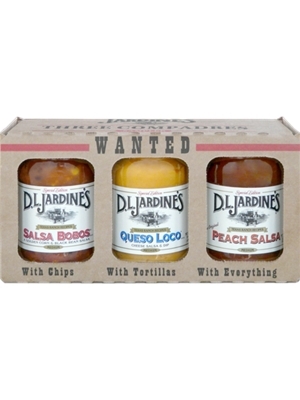 We take this gift set a step further by letting you pick the three salsas you would like in the gift set from any of Jardine's awesome salsas. You create the perfect gift! One taste and you’ll understand why Jardine's salsa is always a best seller.